The Parent Coach: Should Your Preschool Help Kids Play or Learn? Play or early learning toward academic growth: Which one is more important in preschool? As the parent of a 7-year-old and now a 1-year-old, I have tossed and turned between these two seeming extremes of what a child most needs in the early years. While my educator brain hears and knows that play is a child’s work, my mommy brain cannot shut out the fact that many well-meaning parents just like me worry about how to lay a strong academic foundation that will grow capable, motivated learners. After much reading, research, and working with families, preschools and children, I have come to this conclusion: Children need opportunities for balanced growth. 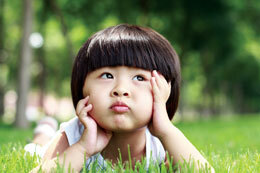 Balanced growth comes from a combination of child-initiated play and adult-designed activities. Play is a child’s most serious work, and it is through play and exploration that children experience balanced growth. It is easy to imagine children running around and laughing, but is that what leads to essential early growth? Yes and no. Rich, complex play is not often found during the casual playground playdate or in most homes. Similarly, it is easy to imagine worksheets, alphabet charts and counting activities as the basis for teacher-led activities — but these are not the experiences that lead to strong intellectual growth. My mental tossing and turning has led me to identify the following experiences and activities that can lead to true, balanced growth. Nature is not a place to visit; it is a part of us, and to interact with it is a natural human need. No one knows that better than a young child. Young children come wired with instincts, curiosity and wonder that draw them to trees, pebbles, sand, water and, of course, puddles! Research continues to show that children who spend time outdoors exploring, playing, creating and imagining are quieter, focused, healthier and able to learn academic material voraciously. Whether at preschool or home, look for opportunities that invite your child to come into intimate contact with natural elements. A nurturing and educational preschool program will emphasize digging, collecting, touching, feeling, expressing and building. 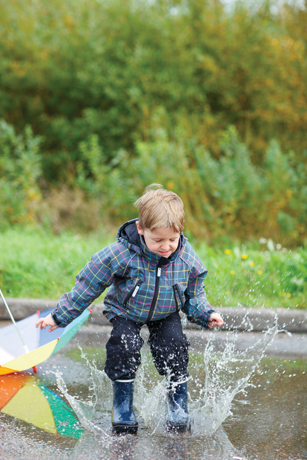 Preschool should provide ample time for outdoor exploration, and not all of that time should be completely structured. The ability to read seems to crown the many complex language milestones that a child achieves. Yet reading is just one facet of being a strong communicator and language learner. Facilitating all-around linguistic growth for your child includes: talking to your baby constantly; using sign language; speaking mother-ese (the undulating, baby-oriented tone most adults naturally take on while speaking to an infant or toddler); exposing your child to multiple languages; reading to your child for the sheer joy of storytelling and reading; giving access to child-friendly reading materials; providing writing instruments at an early age; encouraging your child to draw, scribble, scratch and pretend to write; having your child dictate a story to adults; and, eventually, offering activities that help your child explore how a word is made up of sounds and how sounds blend together to make words. Strong preschool-age linguistic growth involves carefully attending to every stage of linguistic growth and, within each stage, exposing children to the many ways in which language is used, understood and enjoyed. When searching for a preschool curriculum, look for a combination of real-life, social and independent work, plus guided language exposure. Art does not only mean crayons, markers, pencils and paint. Art also means clay, mud, found objects, recyclables, tape, pinecones, ink, drills, wood and electrical circuits. Art is distinct from craft, which relies on a specific medium and technique to create a product that often is given or presented to someone else. Look for ways in which mixed media and unconventional objects can be provided to inspire children to express themselves and create. A rich art experience allows sensorial explorations and open-ended opportunities for creating. An artistic foundation is made complete with exposure to music and dance, including listening, singing, following beats on an instrument, moving to the music and learning cultural dances. Have you played “I am your picker-upper”? Yes, you have. Your toddler throws something from her high chair, and you pick it up. She does it again, and you pick the object up again. The game goes on until you finally wake up to her experiment. Toddlers and preschoolers are wired to figure out how the world works through experimentation. 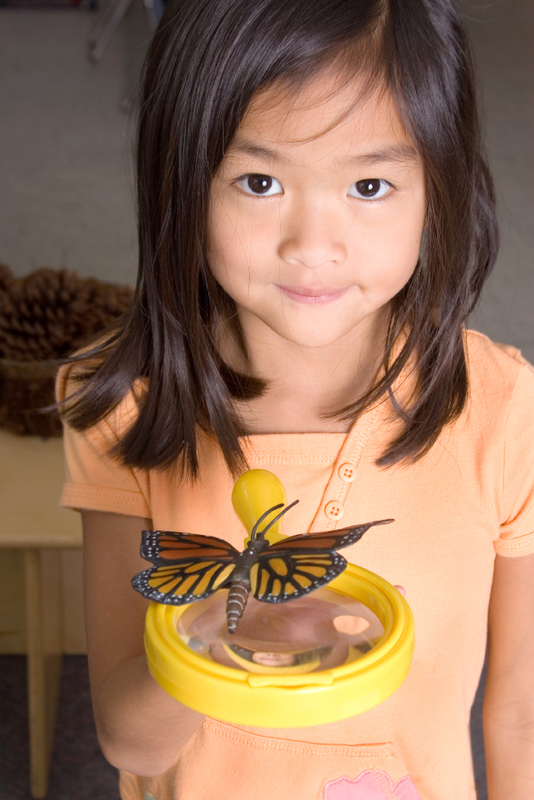 A lively preschool environment offers a variety of materials and teacher-designed activities that invite children to explore and learn about objects and phenomena (think of a simple experiment about which objects sink versus those that float). The next time you find your preschooler jamming a square peg into a round hole, don’t stop her. Instead, kneel beside her and offer her some more holes to jam the peg into. A good teacher will do the same. The human brain sorts, categorizes and identifies patterns. Puzzles, sorters, scales, measuring tools, counters and pattern makers support the natural need for the brain to see and create pattern. Patterning is the basis of mathematical thinking. The best patterning experiences are balanced. They invite children to systematically work through activities that require sorting and identifying a pattern, just as a puzzle or counter does. They also invite creativity by allowing children to make their own patterns. It is easy to find preschool classrooms filled with single-outcome puzzles and sorters, but look for those materials that invite pattern creation and even experimentation that deviates from the pattern. Children love stories. They love to hear them and, as their language skills grow, they like to create them, tell them and act them out. Dramatic play is a significant avenue for children to wrestle with social issues, to know right from wrong and to learn how to “get along with others.” A strong preschool has a dramatic-play area with open-ended materials, such as fabric and blocks, and features open-ended time for children to imagine stories and act them out. Play can be social, and it can also be solitary. 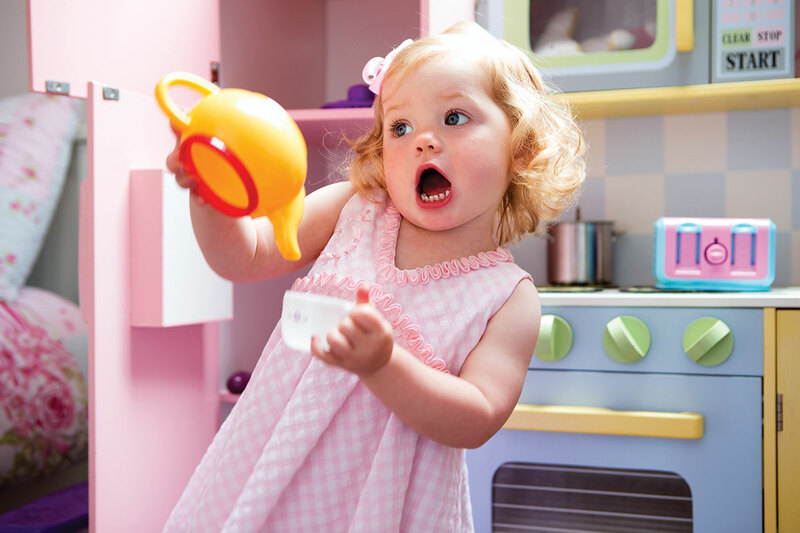 Solo play, with imaginary playmates, dolls, little characters, pets and play animals, is essential. Children flirt with wild imaginations, create fantasylands, act out emotional dilemmas and investigate societal roles by taking on personas through solitary imaginary play. This play is an expression of a child’s internal life. Look for opportunities, both at preschool and home, to give your child space and time to be by themselves — time when nothing is planned, when they are not being asked to do anything and when they can get into small, safe, cozy but stimulating spaces to create their own worlds. Use these pointers both to decide how you will engage your little one at home and also as markers of what to look for in a preschool setting. A magical balance of experiences between home and preschool, between what the child initiates and what the adults around her respond with, leads to that much sought-after balanced growth. Anoo Padte is a teacher, education consultant and mother. At the Art of Education, she coaches parents on choosing the right school and develops personalized education plans that empower parents to identify schools, enrich and be involved in a child’s education. She teaches math and science and is found tinkering, creating art and cooking with her two sons. Ask the Education Coach: What Is Social-Emotional Learning? Ask the Education Coach: Should My Child Go to Public or Private School?